It takes minimalism to another level. 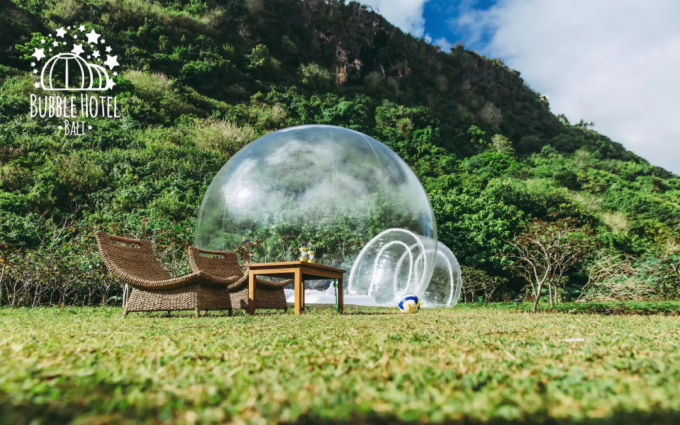 Bali is home to some pretty incredible accommodation experiences, but the Bali Bubble Hotel might be the best yet. 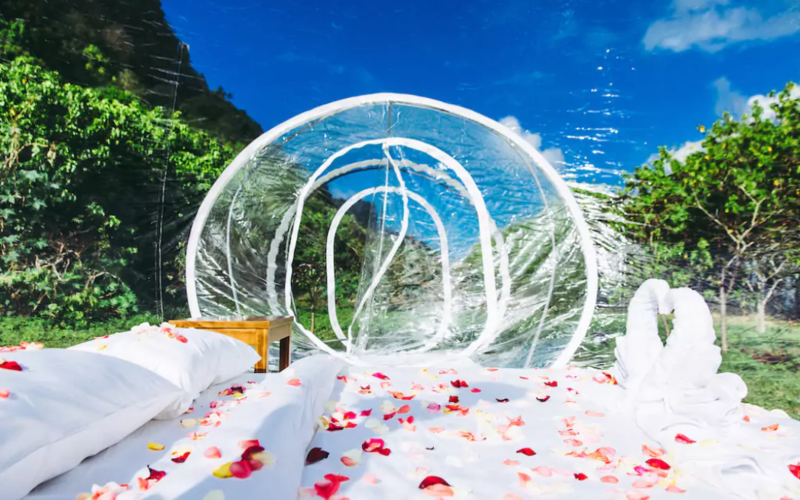 Comprised of six small-to-medium bubble tents perched on Nyang Nyang Beach at Uluwatu, it takes minimalism to another level. 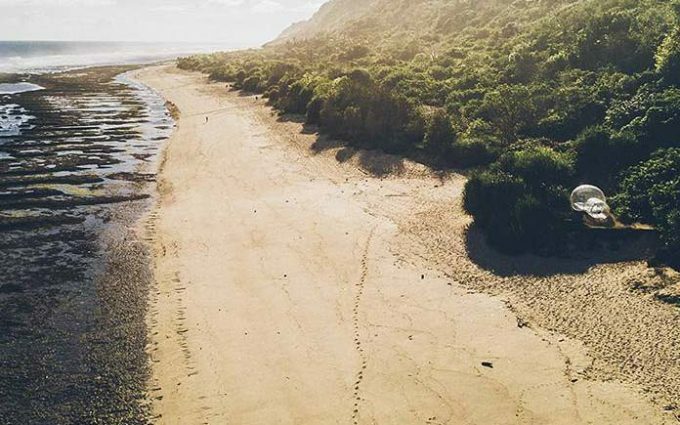 With transparent walls and nothing but a bed, the tents boast views right through to the beach and Indian Ocean beyond. 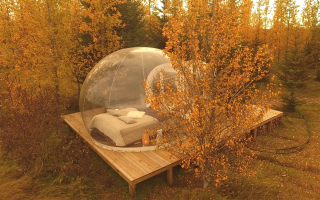 Fortunately, for those keen to maintain a level of privacy, some tents have been with curtains, while each bubble is surrounded by trees for added seclusion. 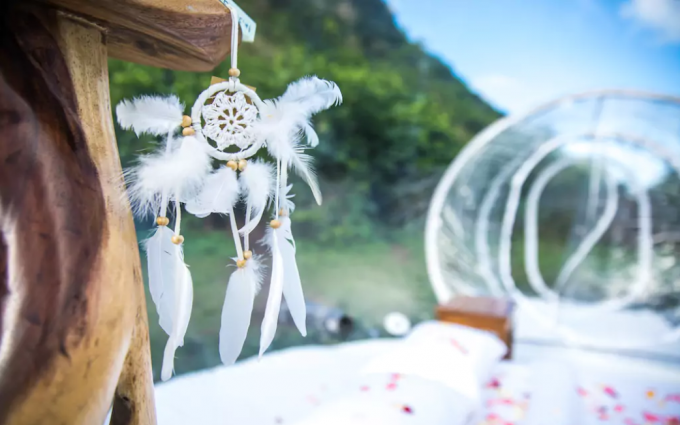 They’re powered by electricity and, while the vast majority of visitors’ belongings will be stored at reception by staff, there are security boxes for the bits and bobs you need to keep with you. 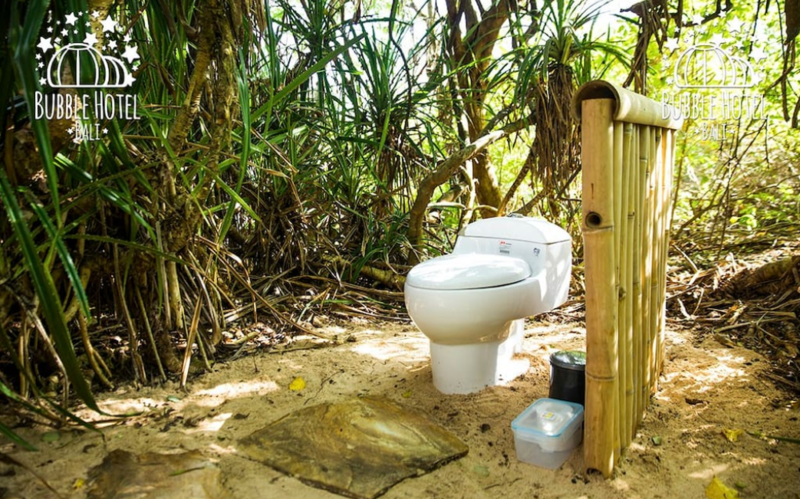 When it comes to amenities, things really get back to nature. 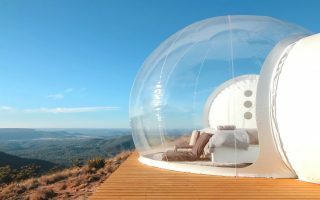 Each bubble tent has its own outdoor shower and toilet, each protected by privacy screens. 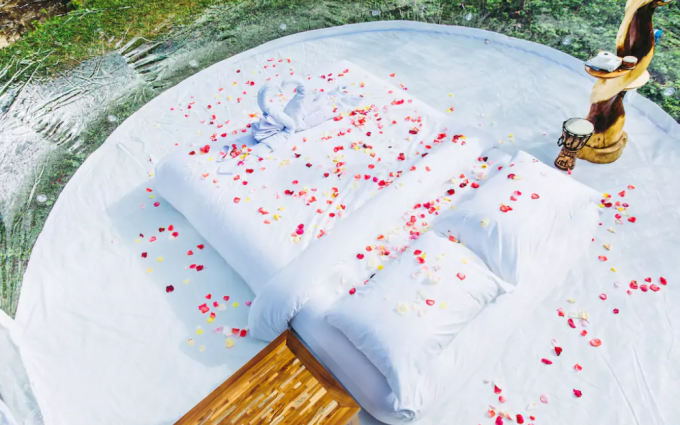 Just don’t leave the door open when you pop out to use the bathroom – unless you want to see how your accommodation looks when it’s deflated. There’s also shared BBQ and campfire facilities on site, though breakfast, lunch and dinner are available at set times during the day. 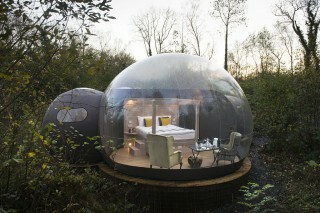 Prices vary depending on the size of the bubble you book, but they start at $130 per night. 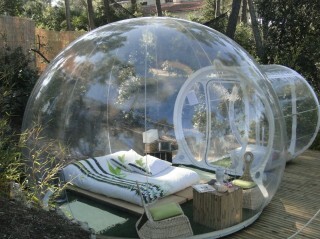 The bubble tents are reached via a 20 to 30-minute walk down a nature trail by the beach. And, best of all, you can book them on Airbnb. 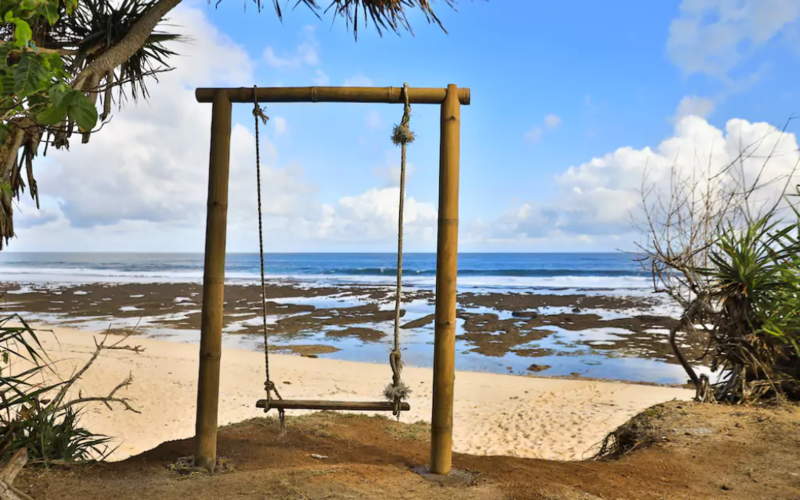 Check out Qantas flights to book your next adventure in Bali.